You probably don’t see too many people walking around with drones in Tokyo. But once you get out of the city just a few minutes, you’ll see all sorts of businesses and people using drones in Japan. 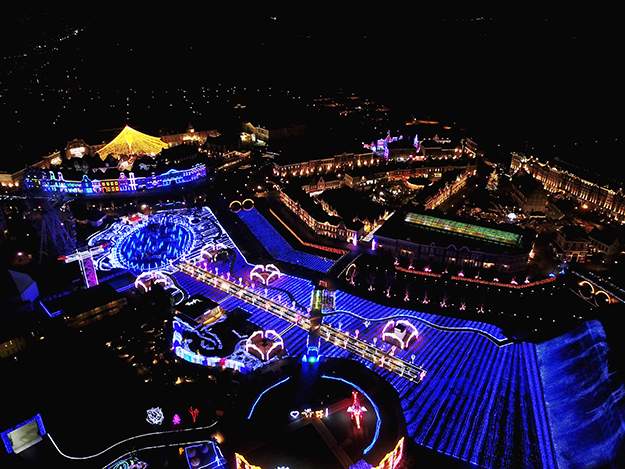 Photography and weddings are two areas that have been saturated by drone usage in Japan. I don’t see any industries outside of those that have started consistently using (or even considering) drones as part of their services or to enhance their services. Rather, most companies and individuals using drones exist in small pockets around Japan, mainly because of the strict drone regulations. But this has not stopped individuals and businesses from using them. While things are not quite booming yet, they are definitely starting to bubble. Here are a few use cases that caught my eye. 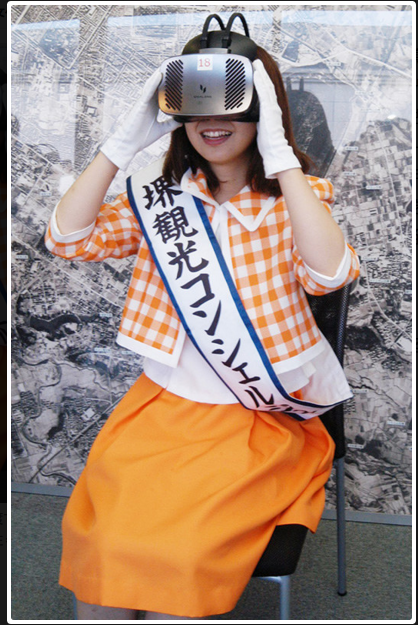 Drones are being used by the travel industry in Japan in tandem with virtual reality (VR). One spot near the Mozu Tombs used drones to film hard-to-access areas around a mountain and then displayed that footage through a VR headset. Not only does this allow for greater convenience but also people with disabilities to see sights that they otherwise couldn’t. Nice one Japan, hope to see more of this. The Japanese government is doing everything it can to attract more tourists to Japan in light of Prime Minister Abe’s goal to attract 40 million travelers by 2020. This marks a significant date because of the Olympics. Prefectures across Japan have been given a hefty budget to accomplish these goals. Naturally drone footage is more engaging than the old photos from the 1980’s that are plastered across Japanese tourist websites. 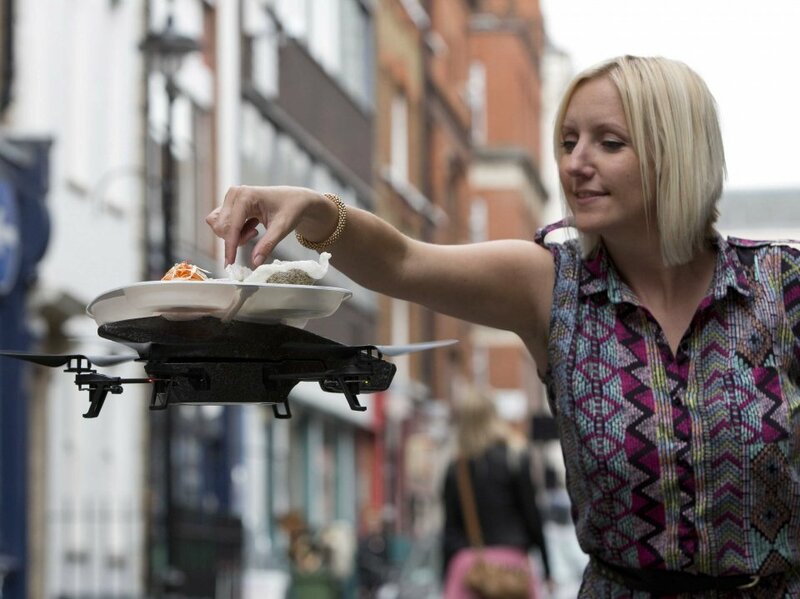 Companies like Dron-E-Motion are partnering with the government to capture footage which they then share across social media. Individual cities and villages have their own Facebook page in hopes of showing off their attractions from high in the sky. Also, Intel has joined as an official partner of the Olympics and will be using a mix of VR, drone tech (videos, I assume) and AI. The tech savvy crowd in Japan are always going to be early adopters of new tech, especially when they can use it to get better photos and videos. Many Japanese vloggers and Youtubers are doing entire videos centered around flying drones or have started to use drones to add oomph to their content. The “Honeymoon Traveler” video of a Japanese couple traveling the world by drone basically set off the movement. You know those cute snow monkeys that are always photographed bathing in Japanese hot springs? To Japanese farmers they are seen as menacing creatures that devour figs, oranges, and other fruits vegetables. With a little bit of ingenuity— and perhaps a few Johnnie Walker whiskeys — farmers have decided to stand up for their rights and take matters into their own hands. 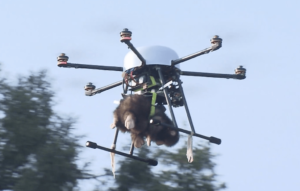 Farmers in Oita prefecture Japan have started strapping fake life-size monkeys to drones, equipped with audio devices that make screeching monkey noises, and fly them over heard their crops to ward off the preying monkey pests. Despite the declining birth rate in Japan, people are still getting married and spending lots of money on weddings. The average wedding in Japan costs $30,000 USD. The wedding industry is still massive in Japan any many of them take place on resorts or villas out in the countryside. Wedding agencies that I have spoken to either hire drone photographers or buy drones and teach their existing photography team how to use drones. But many golf courses are using drones to survey their land on a weekly basis. Something like 30% of golf course costs are maintenance related. With apps/tools like Pix4D now you can construct 3d and 2d maps of the course to determine what trees need to be removed, how to make the course more efficient, and to make better courses. Also courses can use the 3d models to share with customers for marketing purposes. Japan’s golf ranges are controlled by 3 main companies that pull the strings, so once of them falls then we’ll probably see the rest follow suit.